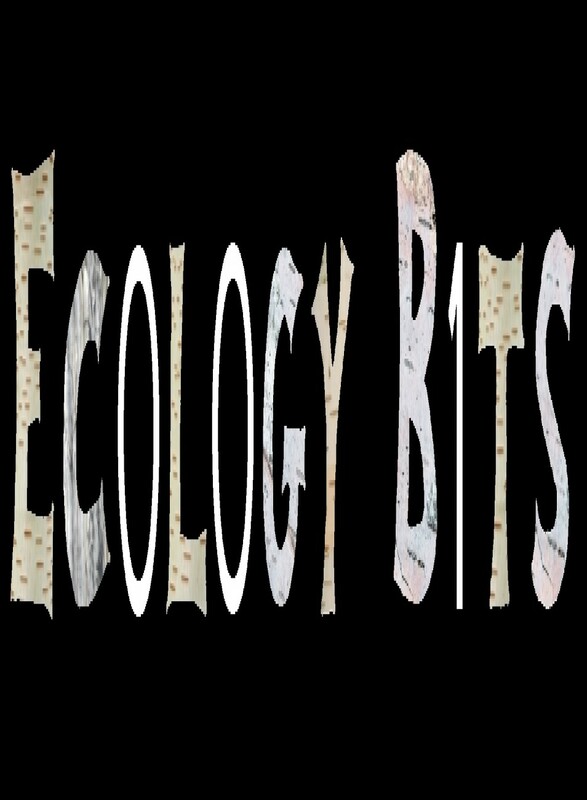 « Ecology Bits is launched! I was having lunch with a grad student friend the other day, and I casually mentioned ‘DEB’ while we were chatting. “What’s that?” Asked my friend. I was sort of surprised, because my companion was a top-notch fifth year grad student. But then I remembered that for most of the time I was a grad student, I too only had a vague idea of what the National Science Foundation (NSF) is (“the place grants come from”) and how the grants got from there to my advisors’ university accounts. If your plan is to pursue science research in the U.S. — especially in academia, but also if you’re considering the non-profit world — you really ought to know how to find and apply for money from NSF. And probably it’s better to know this before you actually need that money so you don’t accidentally miss a good opportunity. I’ve never heard of anyone being offered a course called “NSF 101”, so this is one of the many things you’re just supposed to magically pick up along the way. Hopefully I can make it a little easier for you, if you’re still a bit fuzzy about the process. First, the big picture. NSF is made up of 7 major grant-giving units, called directorates, and each has a acronym by which they are commonly referred. The directorates cover biological sciences (BIO), computer and information sciences (CISE), education (EHR), engineering (ENG), geosciences (GEO), math and physics (MPS), and the social sciences (SBE). Within each directorate, there are 3 to 6 divisions. Each of these also has an acronym (of course). The divisions most generally relevant to ecology are the Division of Environmental Biology (DEB) and Division of Integrative Organismal Systems (IOS), both within the BIO directorate. IOS funds research at the organismal level — research that addresses the question of “why organisms are structured the way they are and function as they do.” DEB funds research on “populations, species, communities, and ecosystems.” Both of these divisions have an annual pre-proposal deadline in January, so if you’re wondering where everyone has disappeared to in the next couple weeks, they’re writing — or putting finishing touches on — NSF proposals to DEB or IOS. You also might be wondering: what the heck is a “pre-proposal” anyway? The short answer is that it’s a short-form proposal intended to give a basic idea of what research is being proposed. Pre-proposals are evaluated, and the top ones are invited to submit “full proposals”. These full proposals are longer and include additional parts, such as budgets. DEB and IOS evaluate the pre-proposals by sometime in May and then invited teams submit their full proposals by early August. Decisions on these full proposals happen in November or December. This pre-proposal/full-proposal system for IOS and DEB is relatively new. It began in 2013 in response to high reviewer loads and the onus of a twice yearly full proposal cycle. There are definitely benefits and drawbacks to each system, and I think the jury is still out as to whether the new system is a Good Thing, a Bad Thing, or just different. In most other divisions and directorates of NSF, there aren’t pre-proposals. You simply submit a full proposal, with deadlines happening once or twice per year (or occasionally more often). In addition to the main request for proposals (RFP) that each division puts out, there are a multitude of special offers and cross-disciplinary offers. For example, the Emerging Frontiers division within BIO is currently funding macrosystems biology research. DEB and two geosciences divisions co-sponser the Long-Term Ecological Research network. And a cross-NSF effort is now funding data science research that involves innovative computer science or statistics and a “domain” science such as ecology. And how do you learn about all these offerings? As an early career person, I’ve found it very difficult to know what’s even out there. I think that once you’ve succeeded in getting a grant from NSF, you get on their email list and they just directly email you with opportunities. (Correct me if I’m wrong.) But I’ve generally found out about opportunities through (1) mailing lists; and (2) happenstance, from colleagues who mention an opportunity to me in passing. I’ve tried browsing the NSF web pages, but found it very difficult because there is SO much information on there, it’s spaghetti-linked, and there’s a lot of legacy material that isn’t germane to finding funding. Plus, there are new opportunities coming out all the time. Last summer I discovered that you can subscribe to NSF announcements, including funding opportunities. You can pick and choose which ones you want to receive. I personally signed up to get weekly digests (so I’m not inundated) of every funding opportunity NSF releases. Each week I skim through and see what NSF is funding. It’s interesting. But more importantly, I see opportunities that I might not have encountered otherwise — especially things that might fund interdisciplinary research involving ecology and computing, for example, or ecology and citizen science. Wait, why should I care? I’m just a postdoc after all. Well, NSF just doesn’t offer much specifically for ecology postdocs. When I started researching postdoc opportunities as a fifth-year grad student, I was surprised (and horrified) to discover that the vaunted NSF postdoc fellowships are only offered in a very narrow range of subjects — none of them applicable to me. If you want to do postdoctoral research of your choosing, your only funding option from NSF is to write a regular proposal in collaboration with a mentor. It’s a lot of work. But it’s an excellent learning experience, especially if you expect your future to involve getting your own grants.